The increased incidence of thyroid cancer is worldwide. The incidence of thyroid cancer has increased dramatically during the past three decades and it is now the fastest growing cancer in women. Finding a lump on your body is one of the most trying issues for primary care doctors, and of course one of the most terrifying moments for anyone. Why is it a challenging issue for primary care doctors? Because these superficial lumps and bumps cannot be diagnosed by physical exam or imaging studies alone. According to the American Cancer Society, many people have thyroid nodules, but only 4-6% are cancerous. The most recent 2018 estimates for thyroid cancer in the United States state there have been approximately 53,990 new cases of thyroid cancer (40,900 in women and 13,090 in men) and about 2,060 deaths from thyroid cancer (1,100 women and 960 men) this year. For unknown reasons, thyroid cancers occur about three times more often in women than in men. Thyroid cancer can occur at any age, but the risk peaks earlier for women, most often in their 40s or 50s when diagnosed, compared to men, who are usually in their 60s or 70s. Studies have shown that thyroid cancer is now the fastest growing cancer among women. Lumps on the thyroid gland, or thyroid nodules, often go unnoticed and are quite common. For example, a thyroid nodule can be found incidentally because you had an imaging test for an entirely different medical issue, or they can be discovered by your doctor during a routine yearly physical. Thyroid nodules are so common that they are found in up to 60% of U.S. and European populations. An annual incidence rate of 0.1% in the U.S. suggests that 300,000 new thyroid nodules are detected in the U.S. each year. In addition to your doctor performing a neck exam to check for nodules, you can also perform a self-examination on yourself at home. To properly perform a neck exam, you can look at yourself in the mirror from the side, with your head tilted slightly up, and swallow. The thyroid moves with swallowing, so you will want to check and see if there is a lump when swallowing. Additional symptoms to take note of include the feeling of something in your throat when swallowing, difficulty swallowing, chronic cough, difficulty breathing, and new onset of hoarseness. To determine what the lump is, a tissue sample is needed either by cutting it out entirely through surgery or via a small needle biopsy called a fine needle aspiration or FNA. You wouldn’t want to put yourself through the cost and dangers of unnecessary surgery, since more than 90% of thyroid nodule lumps are actually benign. On the other hand, you don’t want to be living with a cancer that could’ve been treated. The best way to tackle this is by visiting an FNA specialist and having a biopsy performed that is easy, fast, accurate (in the right doctor’s hands), cost-effective, and less risky. They perform these biopsies for lumps found all over the body including lymph nodes, salivary glands, tongue, breasts, soft palate, head and neck, eyelids, back, legs, and arms. When FNA specialists also act as pathologists they not only perform the biopsy, but they are also the doctor who looks at your tissue under a microscope to make the diagnosis. These doctors can even look under the microscope during a procedure to make sure there is enough tissue to make an accurate diagnosis, eliminating the burden of having you return for an additional biopsy. In addition, this kind of quick analysis helps doctors determine if other types of tests are needed for the patient. Have you been told your thyroid nodule is “indeterminate” or “inconclusive” and you need a thyroidectomy? Thousands of unnecessary thyroid surgeries are commonly performed, and only 40% of these cases turn out to be malignant. Patients are unaware there are molecular tests that can help classify indeterminate thyroid nodules instead of going straight to surgery. Your thyroid nodule may be benign, and a Genomic Sequencing Classifier (GSC) test like Afirma is a safe alternative to surgery. Many insurance plans cover thyroid molecular tests, such as the GSC, which can only be performed by pathologists. The chance of being diagnosed with thyroid cancer has risen in recent years and it is the most rapidly increasing cancer in the U.S., tripling in the past three decades. 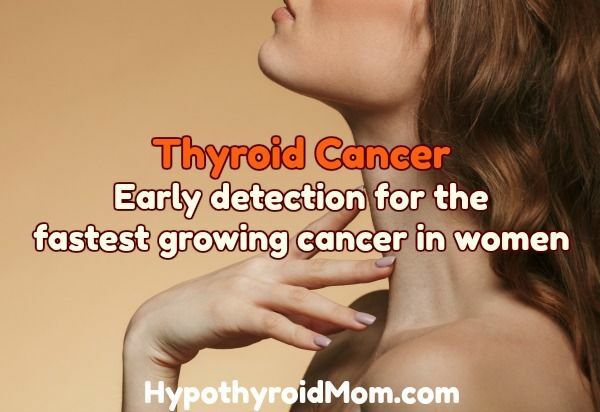 Much of this rise appears to be the result of the increased use of ultrasound, which can detect small thyroid nodules that might not otherwise have been found in the past. Even though the diagnosis of cancer is terrifying, the prognosis for most patients with well differentiated cancers, such as papillary and follicular thyroid cancer, is usually excellent. If the thyroid cancer has not spread to distant parts of the body at the time it is diagnosed, most cases can be cured. The goal of treatment is usually to remove or destroy as much of the cancer as possible and to keep it from growing, spreading, or returning for as long as possible, and to relieve painful symptoms. Dr. Celina Nadelman, M.D., is one of very few doctors in the U.S. to uniquely serve as both a board certified pathologist and cytopathologist as well as a fine needle aspiration (FNA) specialist. In addition to operating her own FNA clinic and in-office laboratory practice in Beverly Hills, California, Dr. Nadelman performs the same dual-role services at Los Angeles County’s Martin Luther King, Jr. Outpatient Center, and is also a clinical instructor at UCLA’s David Geffen School of Medicine Greater Los Angeles Training Cytotechnology Consortium. I was diagnoised in 10/2016 with Pap Cancer after suffering 4 yrs with swallowing difficulties that caused me to have severe panic attacks off and on through those years that got so bad that my swallowing issues have left me one day stranded on the side of the highway having a severe panic attack…..I still will not drive on highway after this. Fast forward to Jan 2019 had a fill in Endo tell me that they discovered that 85% of their patients who had thyroidectomy for cancer over past few yrs were incorrectly diagnoised….I’m mad considering this surgery for cancer has destroyed my health over these past 2 yrs I’m unfortunately riddle with psoriatic arthritis flare that has been brought on by thyroidectomy and improper medicine doses. I say get 2nd and 3rd opinions before you decide on thyroidectomy. Hi, I recently just found out I have a nodule on my thyroid and I am being sent to ENT. I say your lost as I have been scouring the internet basically because I’m scared to death. I recently had a cough for months and I have been super phlegmy. I started to notice I was having trouble swallowing or feeling like I had to swallow all the time like I had a lump I needed to get down. I was curious how you noticed your swallowing issues and how it went undetected for 4 years? My nodules were found through an ultrasound while I was pregnant and nothing could be done. At my 6 weeks post baby check up, a repeat ultrasound was done for comparison. The same ENT saw me to read the results. It was the ENT’s last day in his office as he was moving and he quickly told me there was no growth and no changes in the nodules. He told me not to be concerned and to have another ultrasound in a year. I had a bad feeling and asked for the ultrasound to be sent to my regular doctor and explained what the ENT had said. My doctor read the results and there had been significant growth and changes. He sent me for a fine needle biopsy that week. The nodules were cancerous. I had to have 2 thyroidectomies due to insurance requirements. I had the right lobe of my thyroid removed due to a nodule that was suspicious of cancer on FNA. After my thyroid was removed and biopsied i was told they didn’t consider the findings cancer anymore, the same biopsy if it had of been done 3 months earlier would have been considered by the guidelines to be cancer and I would have had to go through treatment. I still worry that I could have been misdiagnosed, how could the same biopsy results be cancer and then not cancer. I have had a thyroid biopsy. It was done in doctors office and the cost was $6600. I have a $6500 deductible. So I paid out of pocket $6500. Not cost effective in my opinion. Certainly not reasonably priced for most people. Diagnosed with a small thyroid nodule 1/2016; six months later the US showed nine more nodules and TSH up and down. One year later, diagnosed with Non-hodgkins lymphoma (MALT) of the entire thyroid. Total thyroidectomy done. I now feel great.